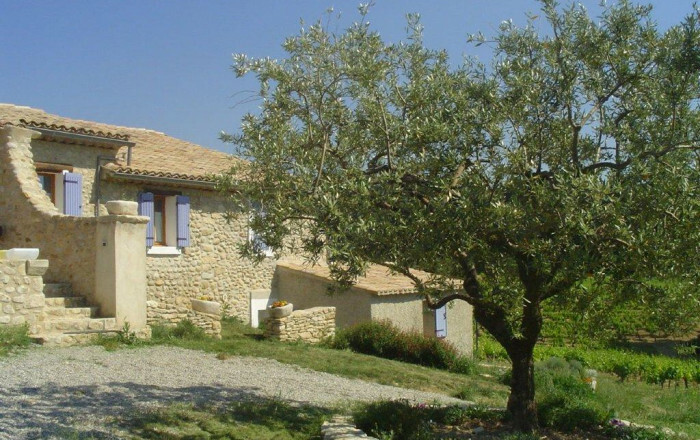 Gîte in restored farmhouse, adjoining 2 other rented properties (not overlooked). Lovely view over olive grove, Aygues valley and Vinsobres plateau. On its round hill, surrounded by old houses, Mirabel-aux-Baronnies is famous for its mild climate and lovely scenery. Vaison-la-Romaine just 9km away. Fitted kitchen opening onto living room (sofa bed), 2 bedrooms (double bed) (double bed), bathroom. Additional attic sleeping area (2 single beds) accessed via open-tread staircase.